Have more than one slow drain? A toilet backed up? There’s a good chance you have tree roots in the sewer line. It’s a fairly common problem, and now days doesn’t necessarily mean trenching for a sewer line replacement. 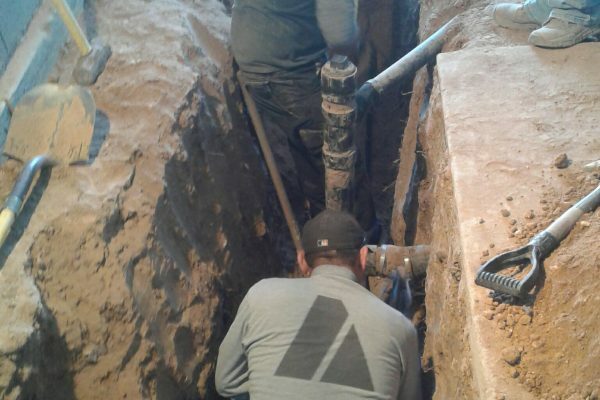 Our team of experts are well-trained and experienced in sewer cleaning as well as sewer line repairs and replacement. The property owner, not the city, is responsible for the “lateral” line from a home or business to the sewer main at the street. So it’s up to you to get any problems fixed. Unable to use toilets, sinks, showers, or tubs? That’s an emergency! At ASAP there’s always a live person to answer your call and dispatch 24/7 services. 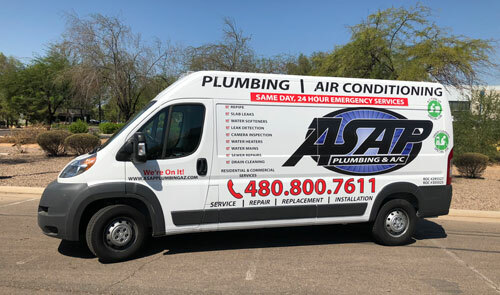 ASAP Plumbing provides affordable sewer line services to all Phoenix, Chandler, Gilbert, Arizona and surrounding areas. Schedule an appointment today. You’ve probably seen a driveway or sidewalk buckled from root growth, so it should be clear that they have the power to invade and then damage sewer lines. 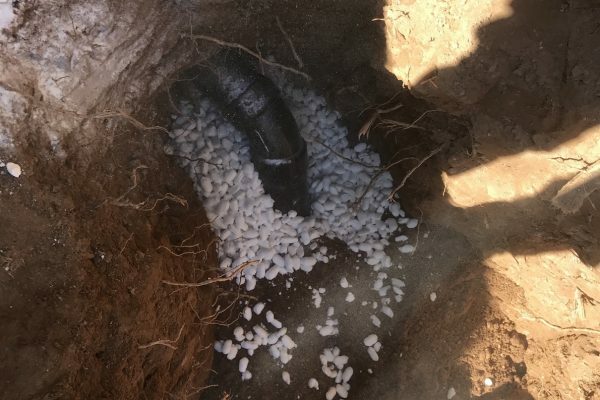 Roots can extend further from the trunk than the foliage above, so it’s often hard to rule out tree roots in a sewer line as the cause of toilet or multiple-drain backups. Or a foul smell in the yard from a leak. Birch, elm, maple, poplar and willow trees are particularly problematic, as are large bushes (especially Oleander). Problems begin with fine hair-like roots making their way through any tiny opening, such as joints and cracks in the pipe, in search of water and nutrients. They’re powerful enough to widen any opening and grow into a “birds nest” that covers the entire diameter. That can burst the pipe wide open. Usually before that happens roots (large or small) trap grease and debris leading to more and more frequent sewer and drain cleaning. Older clay and concrete pipes are the most vulnerable, followed by cast iron. Both were in common use 25 years ago and earlier. The most resistant lines are modern single-piece plastic lines. They have no joints, don’t corrode, and as an added bonus are a bit less prone to grease and other build up. Taking action early minimizes the damage and the likelihood of needing a sewer line replacement rather than a repair. Our sewer and drain cleaning services begin with an in-pipe video camera inspection. That’s the most thorough and accurate way to determine if roots are indeed the problem, how far it’s developed, and where it’s located. The live video also shows us the general condition of the line, and you can have a look yourself. 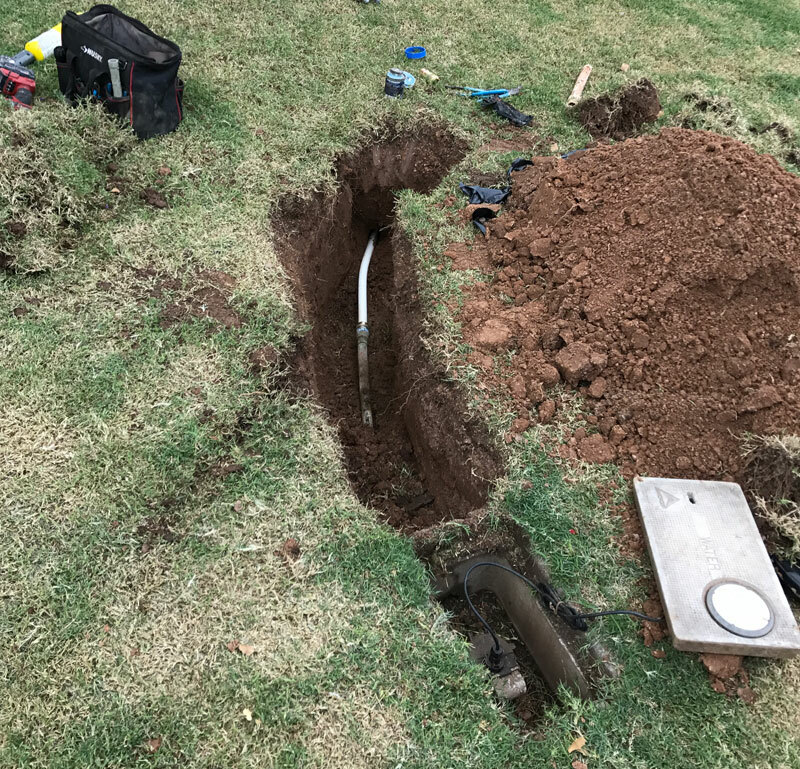 The traditional cleaning methods such as cabling (drain snaking) and augering (using rotating blades on a cable) may offer a good-enough temporary solution, but it’s likely the roots will soon grow back. And you’ll likely have at least a tiny sewage leak. Adding copper sulfate through the clean-out port or a toilet often kills-off penetrating roots and creates a kill zone around the outside. Foaming products help assure that the copper sulfate reaches the top of the pipe. This sort of chemical method isn’t 100% effective, however. Hydro jetting’s high-pressure jets cut through most tree roots and scour away deposits and build up. Followed by a foaming product this may delay the need for repairs or replacement for quite a while. For spot repairs, we hand dig to expose a short section of the line containing the problem. As well as removing and replacing that section we’ll also remove nearby external roots. 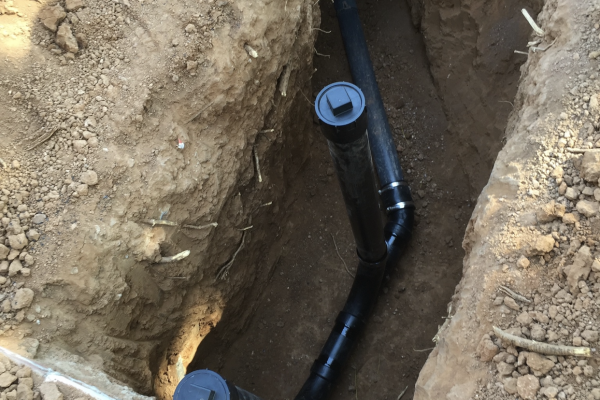 With older lines or extensive damage, a sewer line replacement is the only dependable way forward. Years ago this meant equipment digging a trench from your home or business out to the street, and often included breaking through concrete. But today there are two trenchless options as well. Pipe bursting runs equipment through the existing line to burst it open, then pulls through a new and somewhat flexible line. Pipelining leaves the existing pipe as is, lining its insides with a resin to create a new pipe within the pipe. Both still involve digging in one or two small spots for access. But both also leave you with a single seamless line that should last for many decades. The best course of action depends on the material the line is made of, its age and general condition, and your priorities and budget. Following your decision you can count on us for fast, dependable work. Locally owned and operated we’ve been in business for over 15 years, providing personalized services and holding ourselves to high standards. Our emergency services offer prompt arrivals anytime 24/7, and we guarantee our workmanship and your satisfaction.